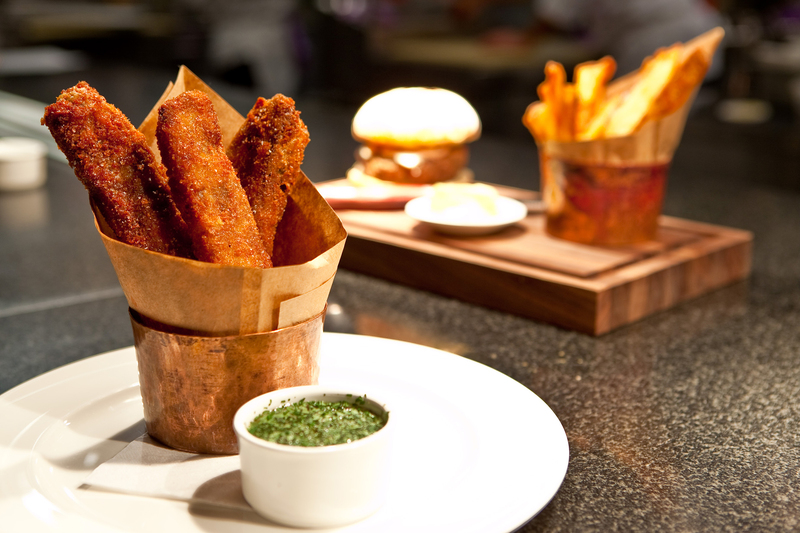 Like Batman needs Robin, Gotham’s best burgers need their trusty side of golden french fries. 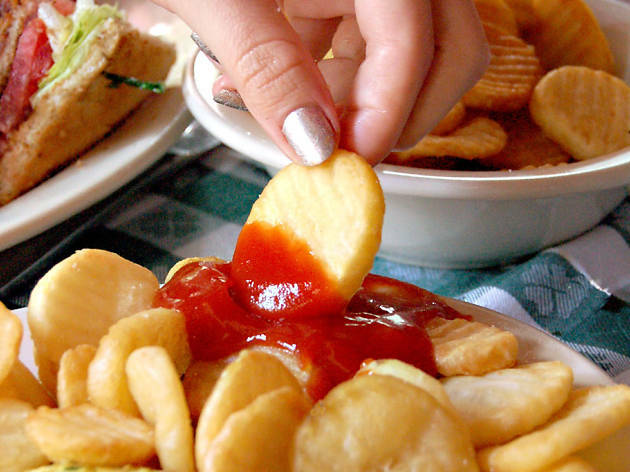 In New York, those crisp potato wands can be found in all different forms, served in restaurants that have some of the best dishes in NYC to tried-and-true cheap eats standbys. 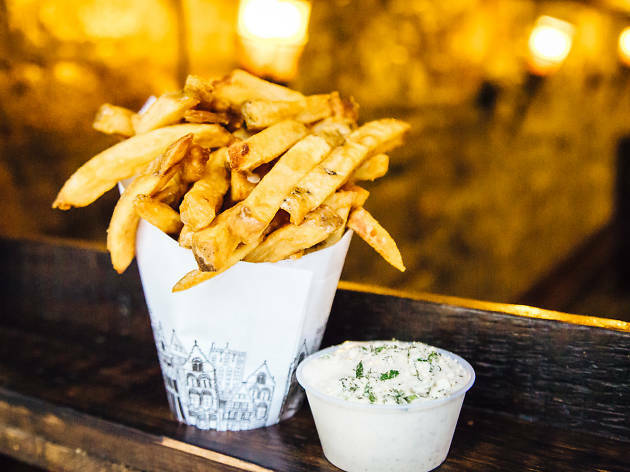 Whether you like them shoestring skinny or hand-cut meaty, with ketchup or with mayo, these are the best french fries in NYC to try right now. 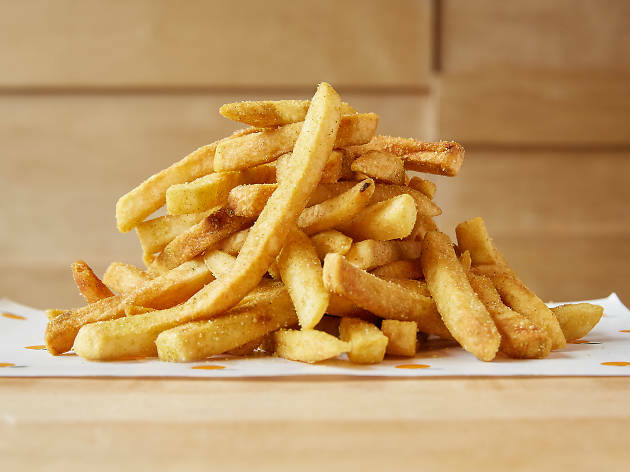 That crispy-on-the-outside, tender-on-the-inside consistency is the litmus test of a good fry, but these “chips” take the standard to another level. 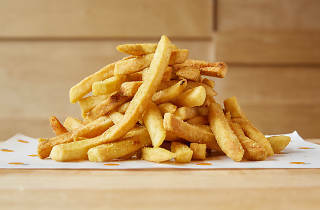 The russet fingers—first boiled and then deep-fried twice in a soy-canola–oil blend—have a creamy potato center encased in an impossibly crunchy, sea-salt-flecked shell. 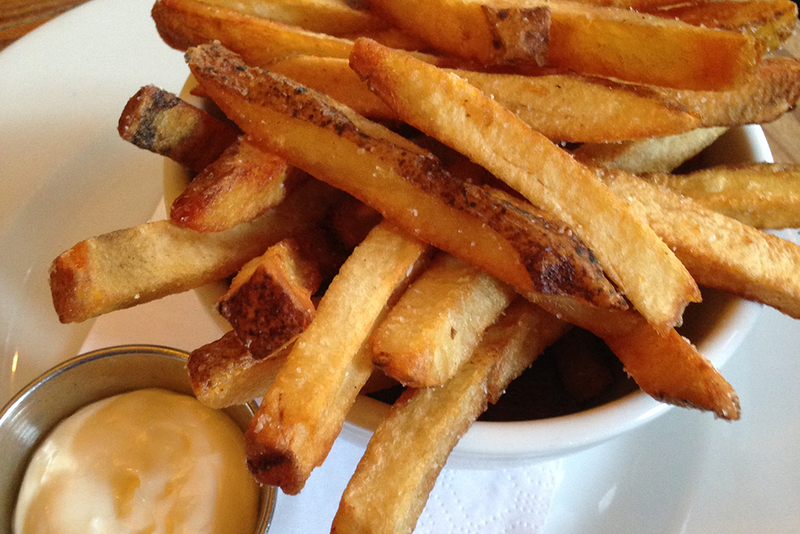 The crags of golden skin latch on to every drop of the thick cumin mayo that’s served on the side. The russets are downright pampered—peeled, cut via a hand-cranked slicer, soaked in water overnight (to remove excess starch), blanched in peanut oil and then fried crisp to order. 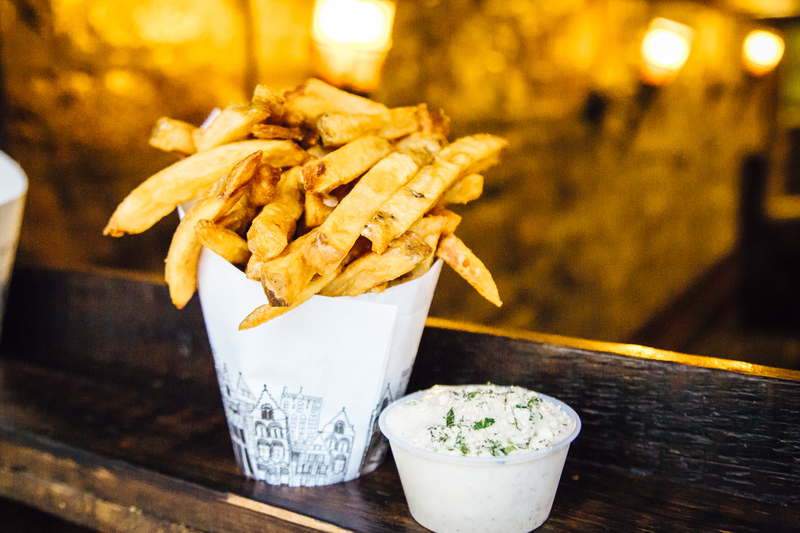 Dusted with imported French sea salt and served in a white paper cone alongside house-made mayo, the delicate, fluffy-centered frites prove that even a humble fry can be rendered elegant in the right hands. 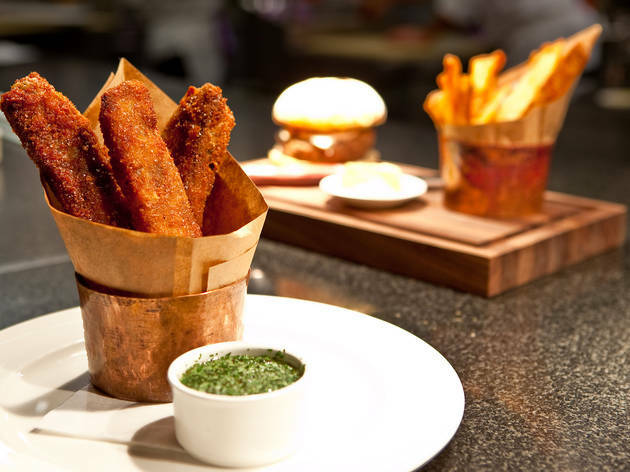 This farm-to-table focused hideaway pays homage to its A-list British roots by serving up thick wedge-cut chips (fries) that are properly confited in duck fat, garlic and herbs for no less than two hours prior to meeting the fryer. 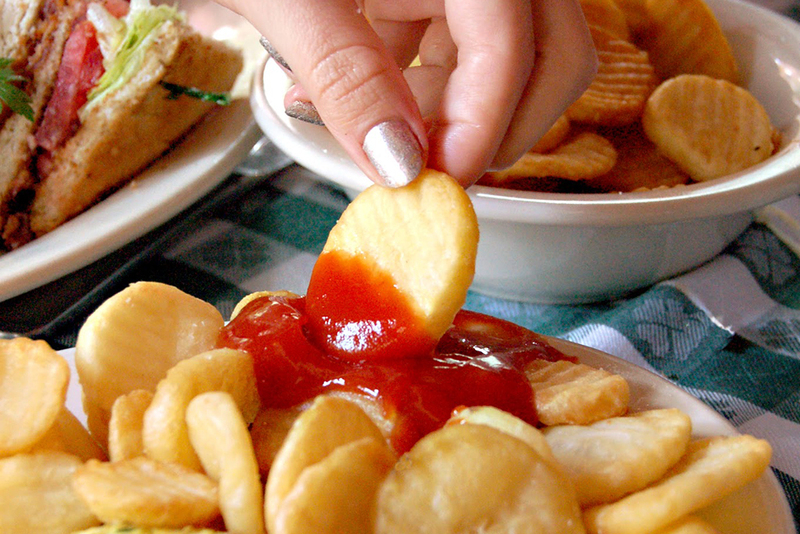 Double fried, the husky russet taters are liberally tossed with Morton sea salt, topped with fresh parsley and chives, and served with a side of Sir Kensington’s classic ketchup. 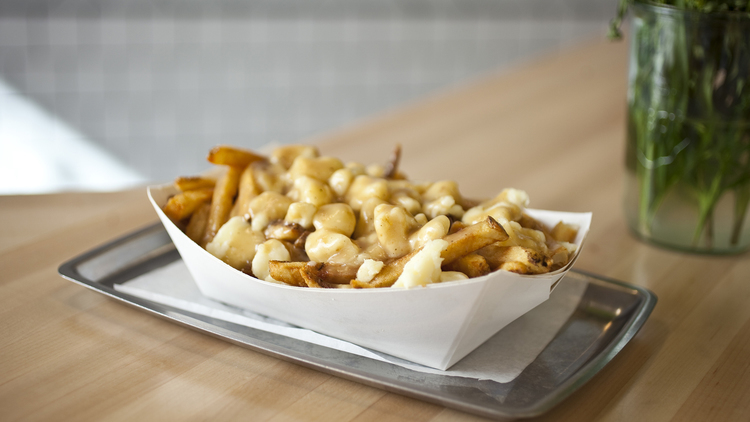 Thicker than their French counterparts, the double-fried Belgian batons—doled out in gingham-patterned paper cones—are spudsy vehicles for more than 25 exotic sauces, including sweet mango chutney, Vietnamese pineapple mayo and Irish curry. 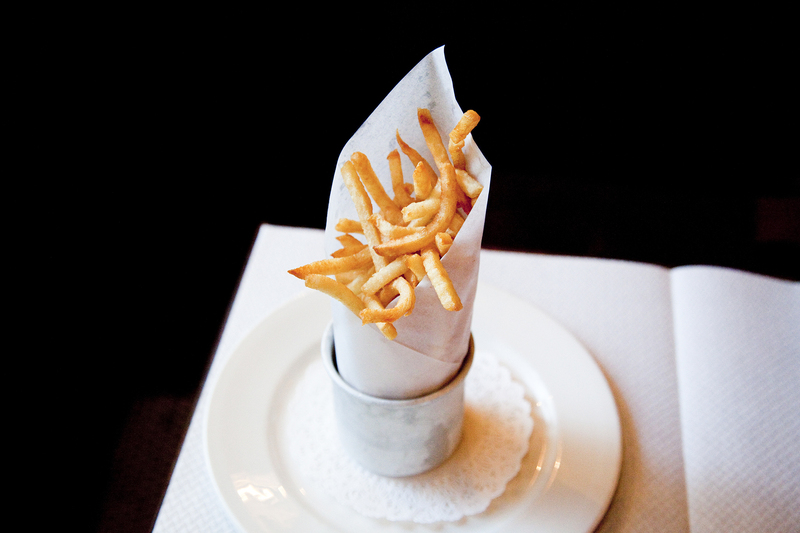 But you don’t need to slather on dressings—the golden, supercrisp frites are surefire crowd-pleasers on their own. 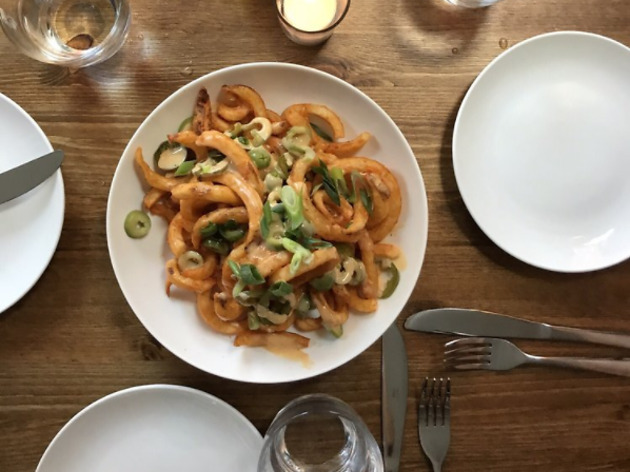 Korean soup meets Japanese noodles at this Chelsea Market slurp shop, where steaming ramen bowls (pork, miso, tofu) come spiked with artisanal kimchi. 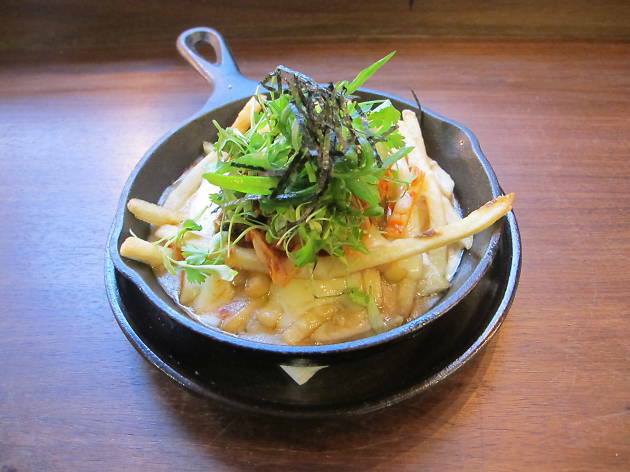 For a Korean-ified take on a diner classic, scarf the disco fries, spuds layered with ramen gravy, cheese curds, funky kimchi and salty nori. 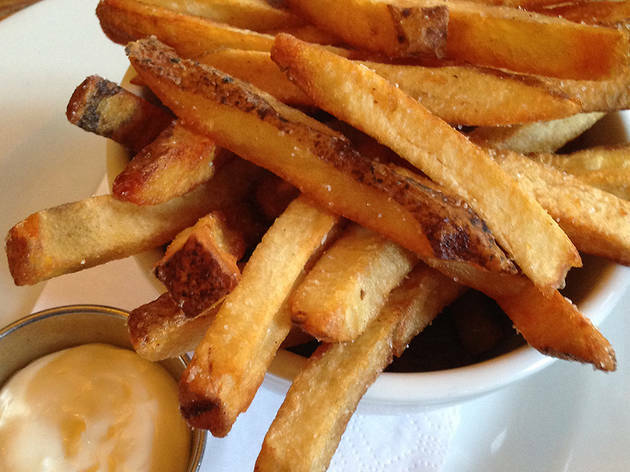 Leave it to Andrew Carmellini to set a new gold standard for bistro fries. 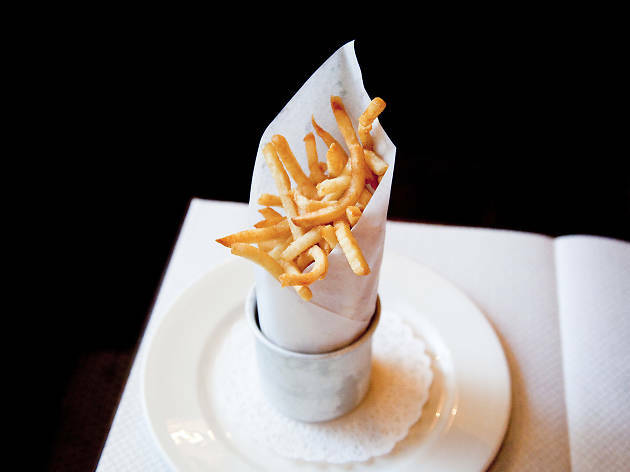 His shoestring frites—wrapped in “Lafayette”-emblazoned paper—take two dips in canola oil, resulting in impeccably crisp straws seasoned with a sprinkling of salt. All is very well with the thick-skinned, golden-brown fries at Nate Smith’s antique Williamsburg tavern. 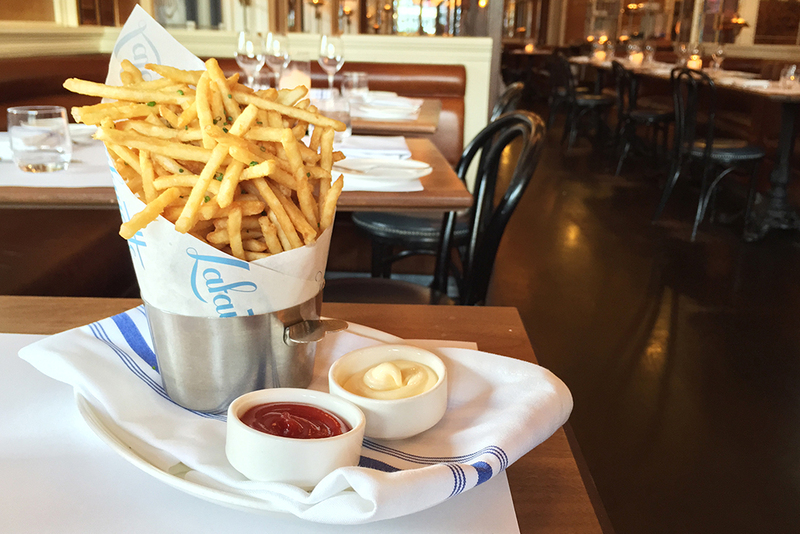 Though the New American menu changes seasonally, the fan-favorite frites are, graciously, always available. 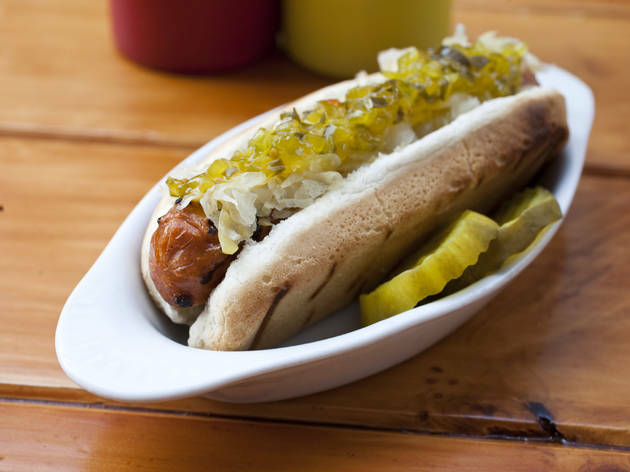 The Idaho tubers—cut into hefty cabin logs—adhere to the blanched-then-fried rule book, sprinkled with coarse kosher salt and served with a side of creamy house-made mayo. The opening of J.G. Melon downtown incited ire among Upper East Side purists, who claimed that their beloved burger would never be replicated. 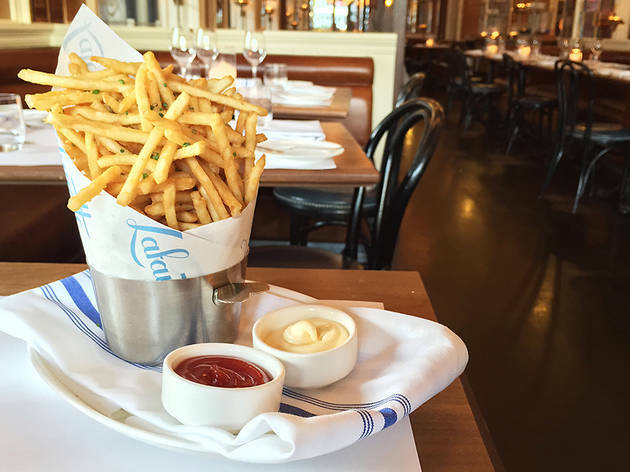 But that unfussed patty landed on MacDougal Street in strikingly similar form in 2015, served on the familiar green gingham tablecloths and with the exact same time-honored frites that have accompanied it since 1972. 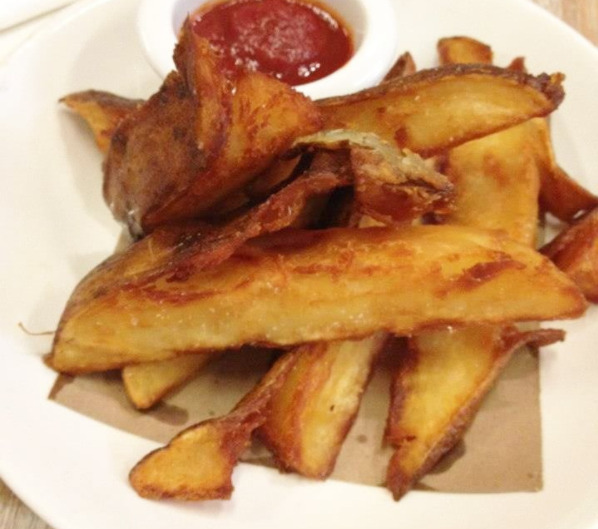 Baked in cottage-style rounds, the crisp, rippled shell yields gently to a soft, piping-hot interior. The Jewish-Montreal delicatessen honors its Canadian heritage with this gut-stickingly rich, munchies-ready import. 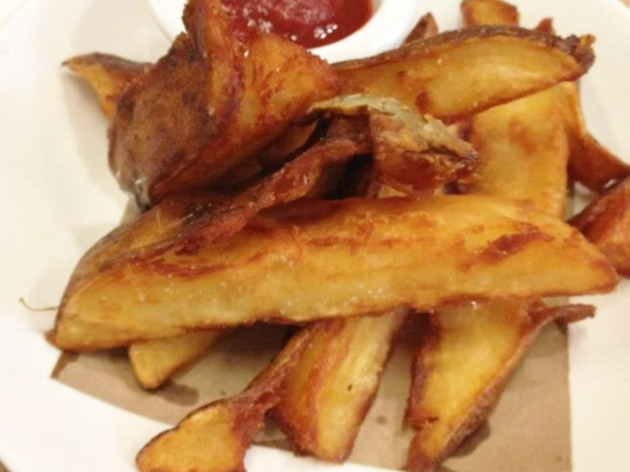 It starts out innocuously enough: Medium-cut russet potatoes are fried skin-on and seasoned with kosher salt. 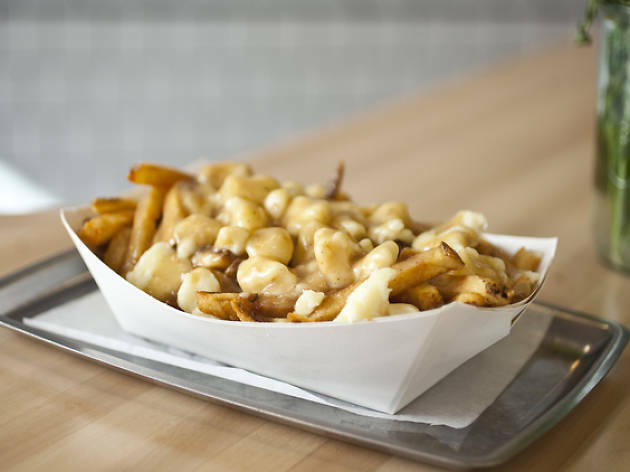 But add a seemingly endless slathering of gooey cheese curds from Wisconsin's Ellsworth Creamery atop a generous pour of roasted chicken gravy and you've got an entirely different beast. Don't try eating this with your hands.